With over 60 brands it is our mission to bring you the best original designers of maternity and nursing fashion from around the world. If you love your fashion then head over to the Mother and Baby awards page here and apply to be a tester and see all of the finalist products first hand. 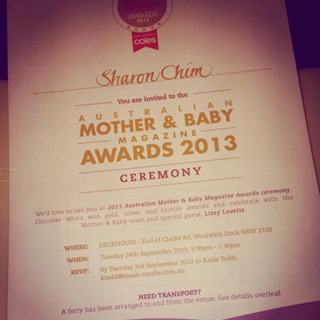 We were thrilled to take part in the Mother & Baby 2013 Awards. The award ceremony was held at the beautiful Deckhouse at Woolwich with a scrumptious afternoon tea and was hosted by the talented Lizzy Lovette who is a new mum to Isabelle.